Did you know that full-fee patients may not feel completely welcome in your dental practice if they don’t have insurance? Help change their minds – and provide greater access to care in your community – by offering an in-house dental savings plan. In fact, dentists across the country are treating more fee-for-service patients every day thanks to Quality Dental Plan (QDP). 1. QDP is NOT insurance. With QDP, there are no third parties. You set your own fees & your practice collects directly from your patients. 2. Your patients can access exclusive savings in your practice, including a year’s worth of preventive care for an up-front annual fee of your choosing. 3. QDP can also help your patients save on restorative and cosmetic care, helping them say “yes” to the dentistry that they want & need. Click here to request more information about QDP’s in-house savings plans. 4. Offering an in-house dental savings plan like QDP adds value to your services & creates a sense of belonging to your practice – kind of like a Costco membership. 5. 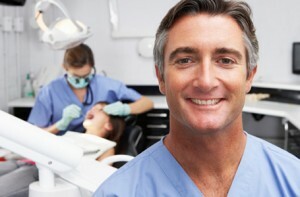 People are often surprised to learn that most dentists PREFER fee-for-service patients! QDP can help you reach more of these patients in your community. At the end of the day, dentists know that their patients deserve a high standard of care regardless of coverage. And patients want to feel like they’re cared for. They want to feel like part of an exclusive family, and an in-house savings plan like QDP makes them feel like they truly belong to your practice. To find out more more about implementing an in-house dental savings plan with QDP, fill out the form on this page. If you are like most dentists, you’d like to increase your revenue, get more up-front cash payments, and bring in more new patients. QDP helps dentists do all of this, while also helping fee-for-service patients find a dental home — a win-win for dentists and patients. So how do we do it? QDP is an in-house dental savings plan that is customized for your practice and 100% controlled by you. You’re able to use your practices real fees, nothing is dictated by a third party. Plus, using our proven methodology, you’ll connect with more full-fee patients who don’t already have a dentist. Utilize their own practice management software to track and manage their program, without any new apps or software needed! To find out more more about implementing an in-house dental savings plan with QDP, fill out the form on this page and a QDP representative will be in touch shortly. Ask how you can get a $100 gift card when you sign up for QDP! Hear what dental practices have to say about QDP! We are NOT insurance – rather, we aim to help dentists decrease their reliance on third parties. We are NOT a software company. In fact, QDP works with your practice management software — and there are no transaction fees or new programs or apps for your team (or your patients) to learn. We’re also NOT a “dental discount plan” – that’s a term specifically defined under state laws that you definitely don’t want to mess with. Rather, we show you how to create your own in-house dental program as well as present it properly to the public. With our super easy-to-implement plan and our proven methodology. And you can rest assured that you have complete control of your program to include both fees and services with no third party involvement. The relationship remains 100% between you and your patients. The way it should be. Plus, we’ll show you how to easily structure, track, manage and account for your own in-house dental program. And everything you need to promote your practices program is included. So fill out the form and request more info from QDP. We’d love to talk about what we ARE – and how we can help YOUR practice thrive in 2018 and beyond. Wish you could treat more patients without increasing your reliance on insurance? This could be the answer you’re looking for. A recent podcast from industry expert and DentalTown founder Dr. Howard Farran features Dan Marut, DMD, and founder of Quality Dental Plan (QDP), the country’s leading dental savings plan company. Download this podcast to learn all the must-know answers to common questions about dental savings plans, including the answer to one very profound dilemma: how can I provide necessary care to more of my patients? Dental savings plans attract new patients & builds your FFS patient base. They increase access to care by making dentistry affordable for all patients, not just those with insurance. Treatment acceptance rates rise because patients get access to exclusive savings on restorative and even cosmetic work. Patients who enroll in a plan like QDP are excited to tell friends and family, which sparks word of mouth for the dental office. Dental savings plans eliminate insurance distractions and paperwork, freeing the dental team to focus on more productive tasks. Plans like QDP create an annual, predictable revenue stream, which allows you to reinvest in your practice, update your equipment, hire more staff and get more patients in the chair. When you choose to partner with a proven leader like QDP, you can be up and running in just days. Many think they can build their own plan, but if you’re producing $200, $300, even $500 an hour, why not focus on working a few more hours instead of reinventing the wheel? Partner with a plan you know works – Quality Dental Plan – and start treating more patients immediately. Fill out the form on this page to download Dr. Farran’s recent podcast and learn everything you need to know about why a dental savings plan like QDP will help you increase the access to quality dental care within your community. Contrary to what dental insurance companies would have you believe, going in-network is NOT a must when it comes to running a successful practice. So if you’re looking to reduce the influence dental insurance has in your practice – and on your patients – consider new options. And a recent Dawson Academy blog presents a viable solution for dentists: offer an in-house dental savings plan like Quality Dental Plan (QDP). Are you ready to bust the insurance mindset in your practice? Join hundreds of dentists across the country who have already made the same change and are realizing the benefits and freedoms that a dental saving plan like QDP provides. Click here to learn how QDP can transform your office and help you provide care to more patients – with or without insurance. Dental Plans vs Insurance: What’s in It for the Dentist? In our last very popular article, we talked about the benefits of dental savings plans for your patients. If you’re wondering what’s in it for you, the dentist – as well as for your fees, collections and production – here are some of the ways an in-house savings plan like Quality Dental Plan (QDP) can also be good for the dental practice. 1. Set Your Own Fees – Unlike insurance, with in-house savings plans, you set your own fees, and more importantly, you don’t have to adhere to arbitrary fee schedules set by third parties. 2. Recurring Revenue – In-house savings plans like QDP incent patients to prepay for all of their preventive care at the beginning of the year, so your practice is insulated from economic ups and downs. Plus, when patients have paid upfront, you can be sure they’ll come in for their prophys and annual exams on time. Fill out the form on this page to find out how you can offer your patients an in-house savings plan. 3. Improved Collections – With an in-house dental savings plan, you won’t wait 30 days to get paid by a third party. Instead, your practice collects directly from your patients in advance of treatment. Imagine that! 4. Attract More Patients – Did you know some patients think they have to have dental insurance to be seen in a dental practice? You can thank our friends the MDs for that one; many patients mistakenly believe that dental insurance works just like medical insurance. But with a dental savings plan like QDP, you can help patients without insurance feel like they belong in your practice – especially those who have put off care because of a perceived lack of coverage. 5. Increase Production – Dental savings plans are kind of like a Costco membership for your practice. You buy that 114 oz. vat of ketchup even though you only need a 12 oz. bottle, right? Why? Because your feel like your club membership has unlocked a special level of savings and value that you otherwise couldn’t access. A dental savings plan does the same thing for your patients when it come to dental care, enabling them to say “yes” to more preventive, restorative and cosmetic procedures. Want to learn more about QDP? Fill out the form on this page or visit our website to discover how in-house dental plans can benefit your practice. And read up on how dental plans can help your patients. Dental insurance doesn’t have to be a patient’s only option for affordable dental care. And being in-network doesn’t have to be the only way for dentists to attract – and keep – their patients in the practice. It’s important to remind patients of how in-house dental savings plans like QDP are different from standard insurance. Patients are often left with lackluster options when it comes to dental plans. In-house dental savings plans put the benefit back into dental benefits – for both dentists and patients! Interested in learning more about QDP? Click here to find out how our customized in-house dental plans can make a difference in your practice.